A silver background with a top and tail flavour colour related strips. The rest of the bag is all about the company logo and the word 'Thick'. Not very imaginative. 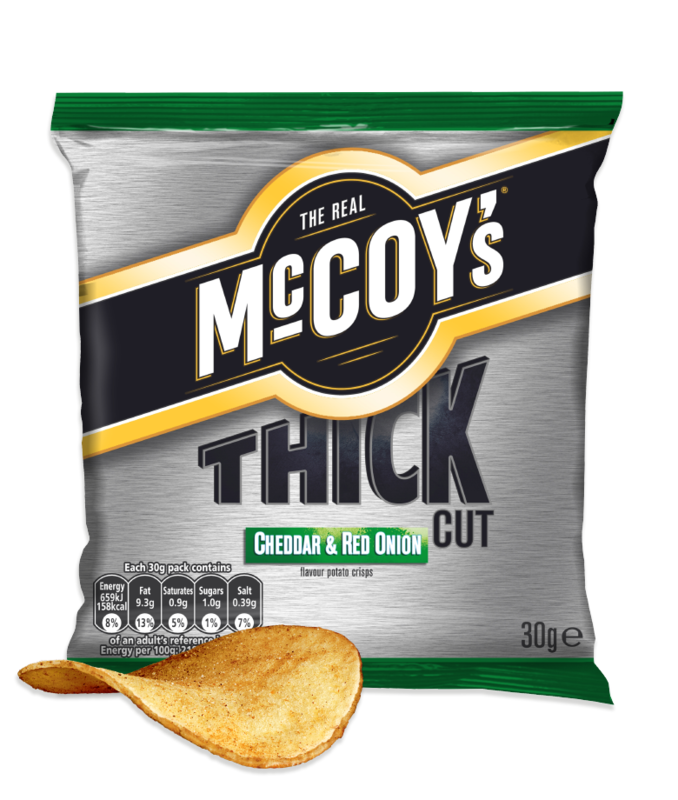 The extra thickness of these Crisps allowed for a firm and somewhat hard crunch. This was not however like Handcooked Crisps which often feature a brittle and even sharp crunch in some cases – instead it was almost biscuit-like in its munch. These were relatively flat Crisps, with plentiful seasoning visible. There was a darkish yellow hue, and there was some characterful skin on edges. A Nose Plunge Test revealed a Cheesy aroma.It would be harsh to say there was no Onion flavour, it was just outweighed by an impressive Cheese.